Florida-based 3D printer and microdispensing system manufacturer nScrypt Inc. has announced it is developing a metal 3D printing solution to provide its customers with detailed and repeatable metal parts. Using its microdispensing technology, nScrypt is aiming to specifically provide the metal parts to the aerospace, defense, and medical industries. 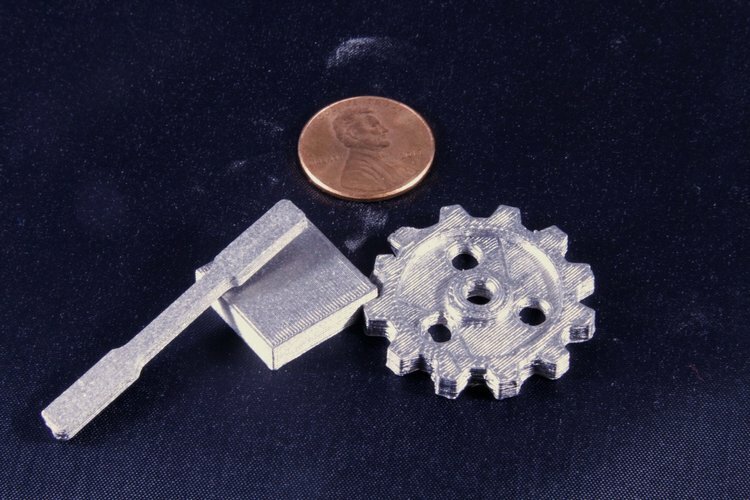 3D printed titanium gear, dogbone, and block. Image via nScrypt. nScrypt has developed a proprietary method for 3D printing parts in titanium (Ti6Al4V), and says the process can be expanded to other metals, including stainless steels, inconel, and copper. The company has carried out initial tests on its 3D printed titanium, with the parts exhibiting density and strength comparable to wrought metal parts. The proprietary process involves the use of nScrypt’s microdispensing technology capabilities, which is a method of depositing droplets of ink in volumes of less than one microliter. Microdispensing is a versatile technology, allowing for a diverse material choice without relying on heat to melt the inks, or the low viscosity inks needed for ink jet printing. Its adaptability has lead to its use in a wide variety of applications, and it is now being used by nScrpyt to 3D print titanium parts for different verticals.